Gross Area: 41,000 sq. ft.
Area Per Student: 205 sq. ft. They have activated spaces that were clearly in need of activation, including creatively, such as the staircase. This is a nice job accomplished on a short time frame. Franklin & Marshall College (F&M) is a private residential Liberal Arts college located in Lancaster, Pennsylvania. Founded in 1787 as Franklin College, the college boasts a 9:1 student to faculty ratio with a population of 2,400 students, 220 faculty, and 600 professional staff, and is spread across a 213 acre campus with 76 buildings. F&M is only a short walk from downtown Lancaster city, the capital of Lancaster County. Aside from the well-known old-order Amish population in the county, Lancaster city is a bustling urban hub which still retains its small-town charm enticing many millennials to live downtown. The city boasts a centuries-old central farm market, Lancaster’s own minor-league professional baseball team, the Barnstormers, whose stadium is right next to campus, an active dining and nightlife scene, and the extremely popular Gallery Row which overflows with thousands of people each “First Friday” of the month when many of the galleries host openings and retail boutiques offer extended hours. There are also usually street performers entertaining attendees between venues. 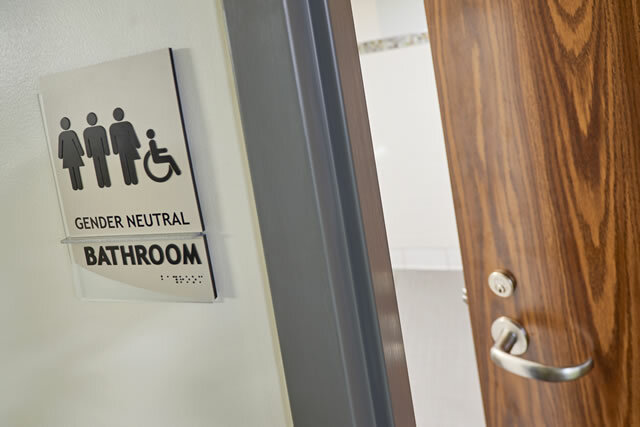 This project involved a complete inside-the-box refresh to resident rooms, study lounges, corridors, and the addition of a gender neutral accessible bathroom on each floor of the residence hall. 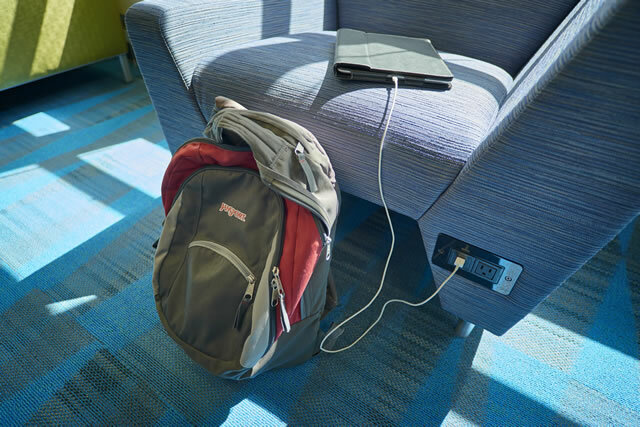 Realizing a trend of students’ and parents’ desire for improved student housing amenities being felt by many higher educational institutions, F&M identified several residence halls in need of renovations. 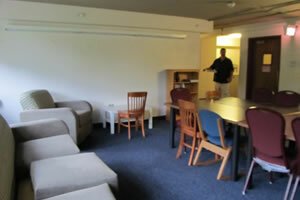 Ben Franklin South was the first of 5 residence hall reinventions to be completed over subsequent summer breaks. The reinvention of this 41,000 square foot residence hall, home to over 200 students, needed to be accomplished during an extremely short 11-week window between spring and fall semesters when the building would not be occupied. 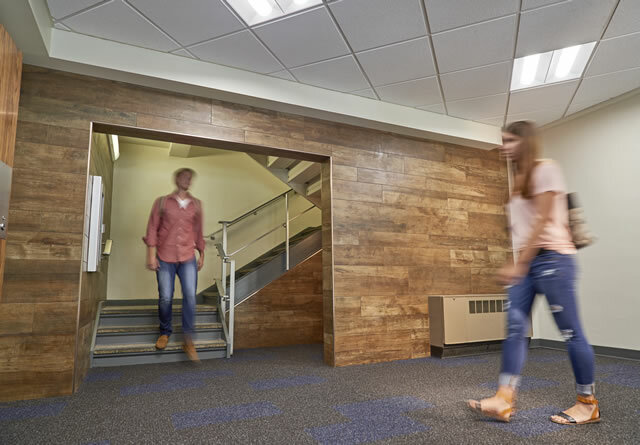 This timeframe required extensive planning to mesh all the design, construction, and furniture, fixtures, and equipment schedules so that the building was ready for the students when they returned for the fall semester. The directive given to the architects was to “Create a place to let students thrive while they are here” by undertaking a complete renovation of square footage within the existing building. This needed to be accomplished by first, renewing the building for the next forty years. Second, ideally, the renovations would be completed to a sustainability level equivalent to LEED Silver. Third, the college also wanted to enhance their College House concept which encourages intellectual life with collaborative spaces for Juniors and Seniors living together with faculty leadership. An effective planning process provides a forum for multiple constituent groups (such as students, administration, campus operations personnel, etc.) to share ideas and concerns firsthand and encourages open dialog with individuals likely to be directly affected by initiatives. 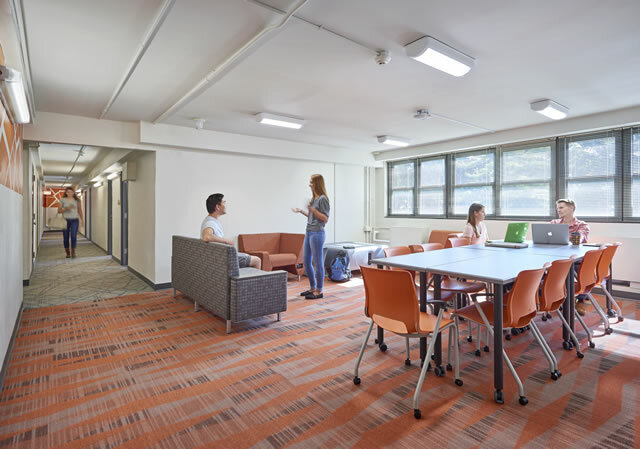 In order to gather ideas and quantify programming objectives for the residence hall reinventions, the architect utilized a process called the Crawford Slip Method for focus groups. Created by the late Dr. Claude C. Crawford, Professor Emeritus for the University of Southern California, the Crawford Slip Method allows participants to share opinions confidentially, thus allowing each person an equal voice before the open group discussion of the focus group questions. 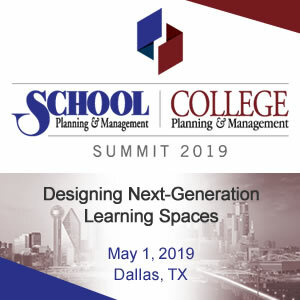 The College’s goals, paired with the results from the focus groups, informed the following design objectives: economic solutions, ADA accessibility, standardization of furniture and finishes, increase building efficiency, and integrating technology into the building. 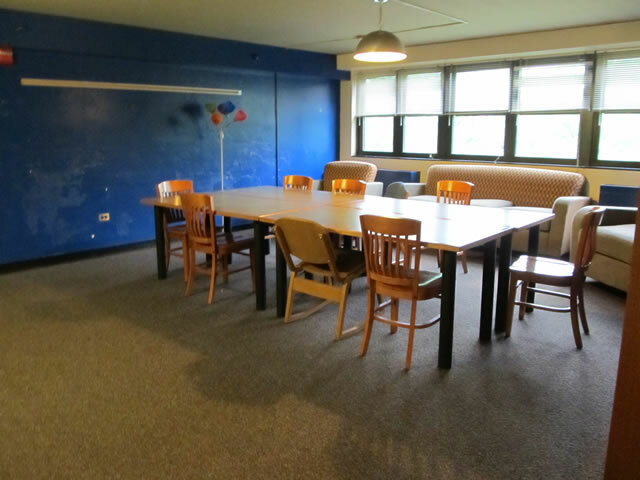 We completed the interior refresh of this residence hall over a short 11-week summer break while the building wasn't occupied by students. 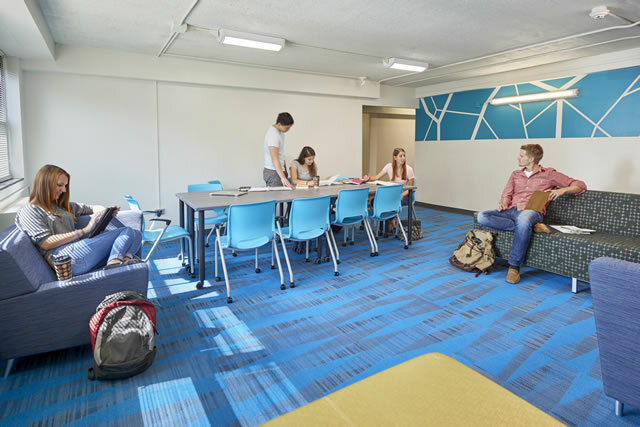 Working inside the constraints of the existing space, study lounges, corridors, and over 100 resident rooms received new furniture and finishes. 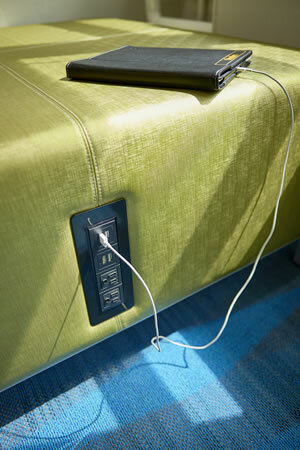 Built-in furniture was replaced with modular pieces allowing more flexibility in room arrangement. 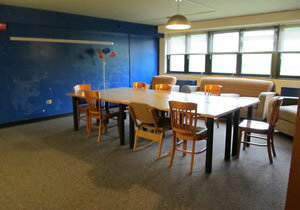 The study lounges now sport comfortable, coordinated furniture for individual and group study. While the building is equipped with Wi-Fi, many of the furnishings have USB power and charging stations built-in to accommodate changing technology needs. The bright white walls and energetic accent colors unify the space while also taking advantage of the plentiful natural light. 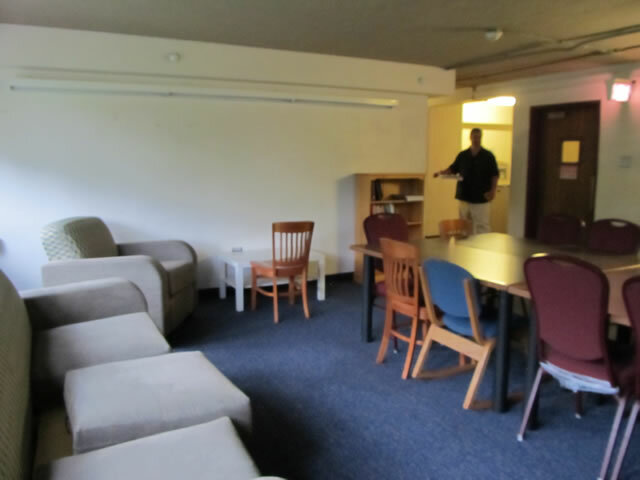 In the corridors, excessive doorways were removed leading to a more open and unified residential space for students. 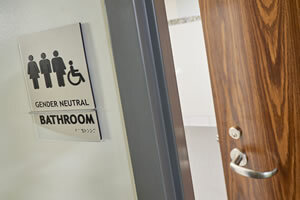 Special considerations were made to add a gender neutral ADA accessible bathroom to each floor of the residence hall. 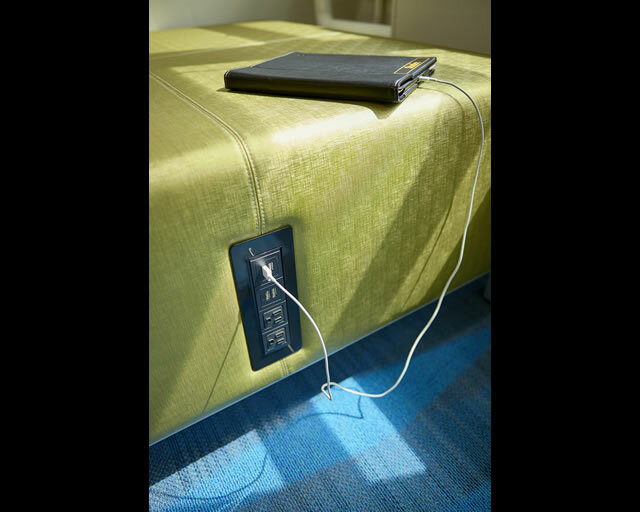 Plans are in place to continue implementing these interior refreshes in additional residence halls during upcoming summer breaks. Electrical Engineer: Moore Engineering Co. Mechanical Engineer: Moore Engineering Co.